"You're good, kid, but as long as I'm around, you're only second best." If it isn't obvious, I have a low opinion of gold farmers. Gold farming, particularly the large operations, are a source of account hacking and MMO economy manipulation. They are by no means the sole source of either, but they are far from an innocent bunch. By using real money to purchase in in-game source of currency, the gold farmers encourage the "pay to win" mentality in what is at times a very obnoxious form of hard sell. There was a time in late-Wrath through all of Cataclysm where you couldn't walk through an Alliance or Horde city and not run into a bunch of bots in formation spelling out the name of a gold farmer website. * And even today, at least a few times a week I get spam mail in SWTOR from gold/credit farmers, which I find quite hilarious given that it is so easy to spend a day and accumulate enough credits to buy most items in the auction house. The article itself is worth reading, if for no other reason than that it confirms my opinion that Blizzard's attempts to combat gold farmers using the WoW tokens was a shot across the bow of the WoW gold farming industry. It also deals with the nature of MMO/WoW/video game addiction, and that addiction is very much a real thing. Oh, and the real gold mine (pardon the pun) is pairing this article with one from a year ago, about how a small time gold farming operation looks from the inside. My single biggest takeaway is that small time/independent gold farming operations remind me of small time professional gamblers. I don't mean the people who are on television at Texas Hold 'em poker tournaments, but the people who gamble at casinos, racetracks, and online for a living. Sure, someone may strike it rich at any time, but those times are very rare. You may even have a better shot at making it as a pro athlete than as a small time gambler or gold farmer, but that dream of making it big is a siren song. *No, I'm not going to provide a pic of it. Why give the site(s) free advertising? **I remember when Cracked was Mad Magazine's wackier cousin. When did Cracked actually start putting up some serious stuff in addition to the humor? I know that they were already serious when Robin Williams passed away and they had a couple of really good articles about the intersection of comedy and depression. While longevity in a blog is one thing, longevity in a podcast is quite another. Therefore, I wanted to take some time to salute two podcasts that reached significant milestones: The Twisted Nether Blogcast and the Battle Bards podcast. You may be cool, but not Blog Azeroth cool. 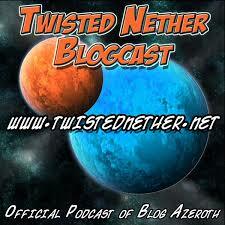 Twisted Nether is a live blogcast that has just reached its 9th anniversary. Fimlys, Hydra, and Zabine run the WoW focused show --which is the face of Blog Azeroth-- and are frequently joined by bloggers across the WoW-verse. (Full disclosure: I was a guest on Episode 166, recorded live on April 28, 2012. Back then it was just Fimlys and Hydra running the show, and I'm very glad I got to know them through TN.) TN encourages listeners to join the live blogcast and comment in the live comment section, and while the recording time is frequently at odd hours for Eastern North America, I heartily recommend listening in on a live blogcast. Through TN I've met several fellow bloggers who have since become friends, including Ancient from Tome of the Ancient. If you're curious about WoW comings and goings, I heartily recommend Twisted Nether for an entertaining look at WoW from people who love it so much that they run a live show in the late hours Sunday nights (EST). However, I did learn one thing about a live blogcast: don't make a quip that can be construed as being awkward. In my case, it was the final question round, and I made a quip about not having heard these questions before. If you've heard Twisted Nether, you've heard the questions, so it wasn't so much as amusing as awkward, and I should have known better than to try to say that. Still, Fim and Hydra were fantastic hosts, and even though I no longer play WoW, if I'd the chance to go back on just to talk with them, I'd do it in a heartbeat. 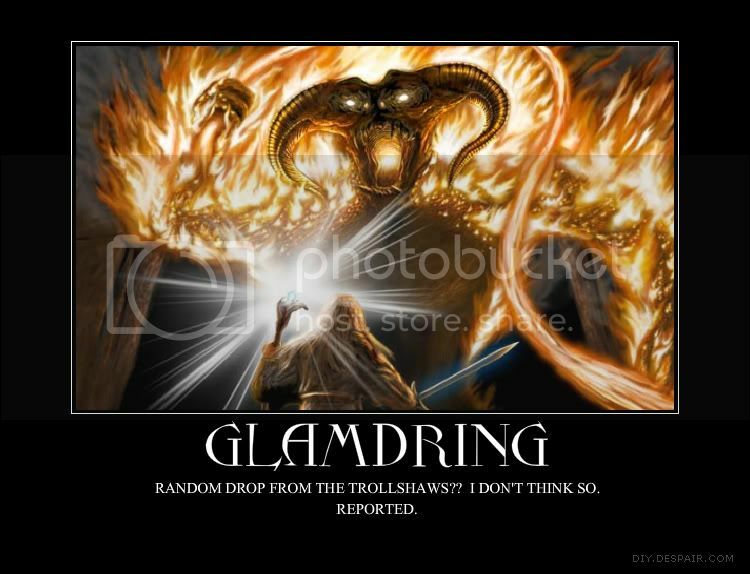 the LOTRO Minstrel class. Just sayin'. Battle Bards is an MMO podcast created by three people who truly love MMO music, and will be dropping their 100th episode shortly (if it hasn't dropped already. EtA: Here it is!!!). While the music might be a minor aspect to MMOs in general, the thrill of that first loading screen with the stirring soundtrack blaring through the speakers is a fond memory to even the most hardened MMO gamer. To that end, the team of Syp, Stef, and Syl --the Battle Bards-- scour the MMO world for the interesting and unusual as well as comparing themes among various MMOs. 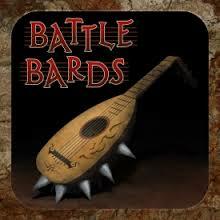 I've been a long time listener to Battle Bards, in no small part because a) I'm a music lover and b) my long time blogger friend Syl is a host. While I agree or disagree with the Bards' selections, I do find something interesting each episode. However, looking back at the podcasts, I believe that Battle Bards really hit their stride on their fourth episode, the interview with LOTRO composer Chance Thomas. Chance was an engaging guest, and the Bards performed a great job in exploring the music of LOTRO and the process Chance works through when composing a piece. At that point, the podcast became more than just a discussion about favorite pieces and began hitting on the nuts and bolts of the music itself. The Battle Bards demonstrate in spades that all you need is a love of the music to explore the amazing world of MMO soundtracks. *By comparison, the livestreaming of a game takes less effort. Once the software and equipment are configured, all you have to do is bring your creative self and play away. Once a livestream graduates into a vlog, however, editing begins to assert itself.